And, I have a tendency to, well, get teary-eyed when I read something that moves me, that is profound, or just hits that perfect note for me. There is one scene in this book that just hits me every time I’ve read it and I realized that as I’m reading along, it’s in the back of my mind and I can’t wait to get to it. It happens towards the end of the book - the final battle on the Tower plain. 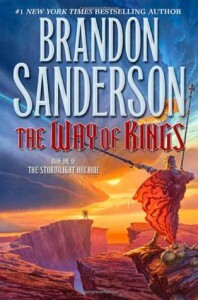 I know Sanderson is often accused of being ‘too clear’ in his writing, not nuanced or literary, but damn, that whole sequence, the battle, the betrayal, the bridgemen’s decision to return, and the aftermath between Dalinar and Sadeus, Dalinar’s bargain for the bridgemen and his explanation to Kaladin just resonates with me. Heroes! This re-read cemented my dislike of Shallen, though. I’m not sure if I’m just reading her wrong, or if she was written to be deliberately annoying, but I found her attempts at ‘cleverness’ to be incredibly awkward and blah. I did get that she had been living a fairly insular life and hadn’t had much exposure to society, but there was something very boring about her personality. Towards the end of the book we discover something rather momentous about her, and I found that I just didn’t care. I felt neither sympathy nor shock, just a sense of ennui. The hints about what is to come involving her, though, give me hope that she’ll coalesce into a more vivid personality. I’m so friggin’ curious about learning more about this world - the storms, the plants, the Heralds & Knights Radiants, everything. 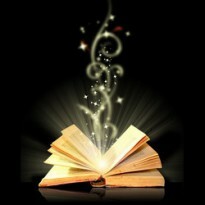 What’s so interesting is that while the physical world is known to them, along with certain manifestations of magic, these characters seem to be as in the dark as the readers about their history and where the magic comes from. I can’t wait! One sidenote - I’m hoping to discover more about the origin of the enormous gender role division amongst the Alethi society. There’s gotta be a reason! I mean, not only in basic education and skills, but food types? Separation whilst dining? Totally bizarre. Oh, speaking of gender divisions - the whole ‘safehand’ and ‘freehand’ bit for women - as far as I can tell, it’s always the left hand that is the ‘safehand’ and is completely covered up, while the right is free to do .. whatever. What if the poor woman is left-handed? I kept trying to remember to notice if there was an accommodation made for the ‘freehand’ being the dominant hand or if it was a strict right/left thing. Overall, though, I just hope more background is given on why this society structured itself this way.